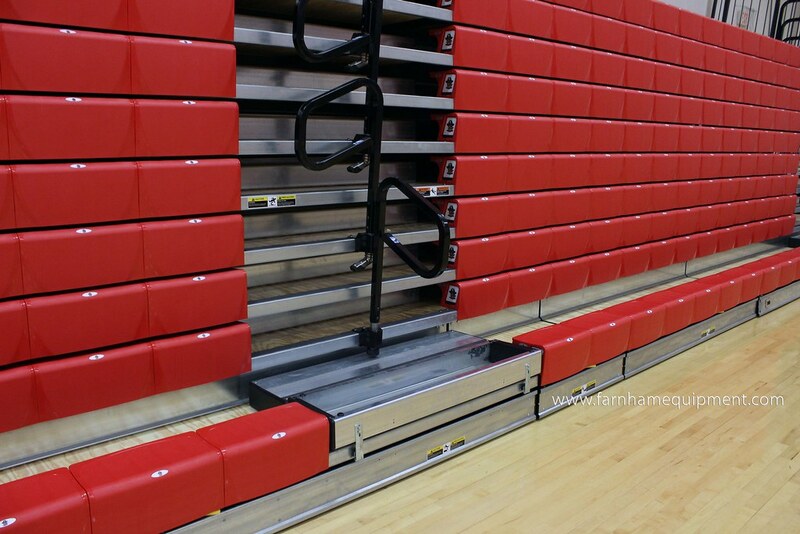 Bluffton High School replaced their telescopic bleachers summer of 2017 with two new Hussey Seating Maxam Telescopic Bleacher banks. Their wall-to-wall Maxam Plus home bleacher features a VIP section with CourtSide Backrests and Cupholders to complement their CourtSide Seats. 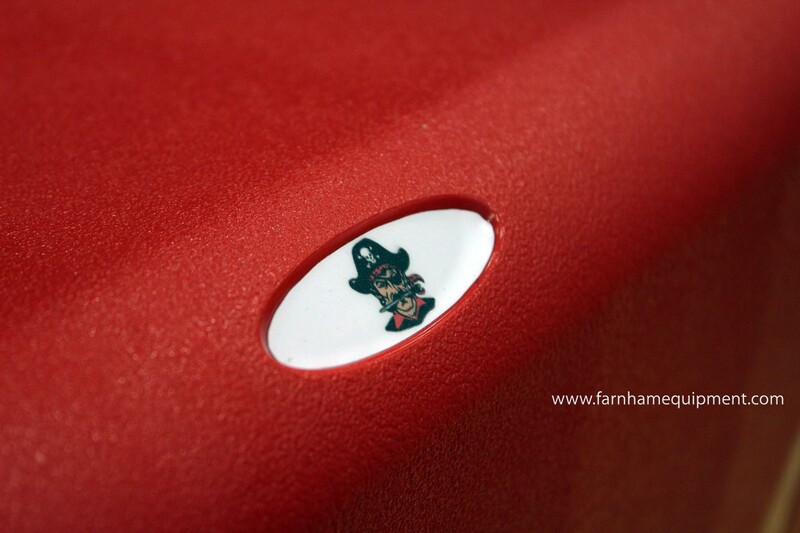 The Pirate logo replaces the seat numbers and is featured on the CourtSide aisle seats. The visitor side, Maxam26 bleacher, also including CourtSide logos, features a custom Safety End-Closure Curtain. Both bleacher banks have media platforms with custom vinyl rail sleeves. To make operation less labor intensive, BHS included Hussey’s Wireless Remote, Auto-Rotating Aisle Rails, and Hinged Aisle Steps. In addition to their new bleachers, FEC also provided (3) Allied Scoring Tables Freestanding 1-Panel Scoring Tables with custom graphic panels (not shown).